Don’t make the mistake of thinking that you do not need representation at a magistrate hearing. A magistrate hearing is also commonly known as a probable cause hearing. If you are accused of a civil violation or criminal complaint and not arrested at the time, a magistrate hearing is held to determine if charges are warranted. The Law Office of Stephen M. Forlizzi has many years of experience helping Massachusetts citizens prepare for and present their case at magistrate hearings. Our firm is dedicated to pursuing the best possible outcome for any magistrate hearing or probable cause hearing we handle. It is important to know your rights and know what to expect at a magistrate hearing. The police department, or accuser involved, will be able present evidence or witnesses that support their reasoning for wanting to file a complaint. You also have the opportunity to present your side, including being able to call witnesses, present evidence, and present documents that support your case. You will want a skilled and dedicated Massachusetts magistrate hearings attorney on your side throughout the process. Our firm will listen to the details of your case, gather evidence, speak to witnesses, and keep you completely informed of everything that can happen. 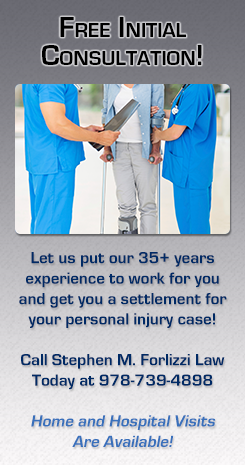 We will build and present a case that presents you in the best light and helps you obtain a favorable resolution. Not knowing what to expect or going into a magistrate hearing blindly can mean you end up paying fines or facing serious charges that can greatly impact your life. With us in our corner, your rights and your future will be protected. There are two outcomes possible at a magistrate hearing. The magistrate clerk can find probable cause and a complaint will be issued. Or, the help and guidance of an attorney can increase the chances that there will be no probable cause found. This means your record will remain clean. With so much at stake, you need a professional to help navigate the process. Call the Law Office of Stephen M. Forlizzi for a free consultation and honest advice about how best to move forward with your case.